Honorable Dr. Kwabena Donkor is Ghana’s first Minister of Power and also the Member of Parliament for the Pru East Constituency and the immediate past Chairman of the Parliamentary Select Committee on Mines and Energy. Hon. Dr. Donkor has been an academic, technocrat and presently a political leader. He has lectured at the University of Bristol (UK) and the Central University College (Ghana). He was the pioneer Chief Executive of the Bulk Oil Storage and Transportation Company Ltd., (BOST) the State-owned petroleum Logistics Company with depots and pipelines across the country. Dr. Donkor was also the pioneer Chief Executive of the Petroleum Commission, the upstream regulator. He has also been the Deputy Minister of Energy with responsibility for Oil and Gas and later Power. 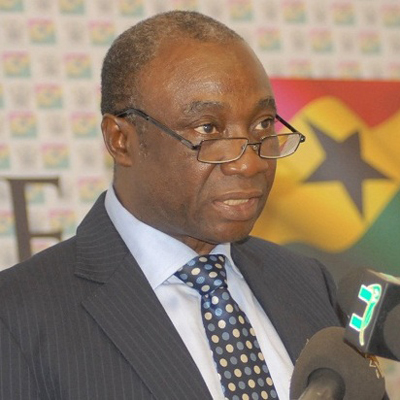 Dr. Kwabena Donkor holds MSc. and PhD degrees from the University of Bristol and the MBA degree from Lancaster Management School, University of Lancaster. He is also a Fellow of the Chartered Management Institute (UK), a Fellow of the Royal Society of Arts (UK) and a Member of the Chartered Institute of Energy (UK). Hon. Dr. Kwabena Donkor straddles the worlds of energy, management and development management and pulling all the strands together in unique and relevant way for the developing country scenario.